Within hours of telling students at Moody Bible Institute that the Christian college in Spokane was shutting its doors, leaders were already drafting an application to open a new one. That was on Nov. 8, 2017. And now, less than a year later, the college they've named Great Northern University is preparing to enroll students in the fall. This week, the college announced that it received approval from the Washington Student Achievement Council and that it's accepting applications. 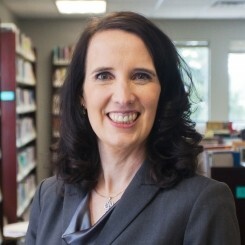 Wendy Liddell, who was associate dean of academics for Moody Bible, is the founding president of Great Northern University. She says all of Great Northern administration was involved somehow with Moody Bible. 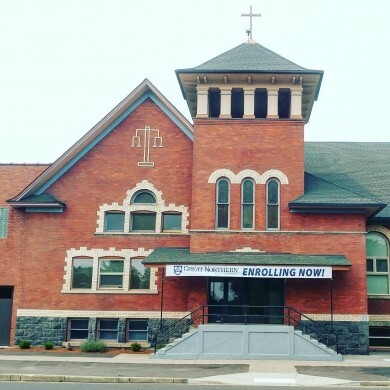 "I think there's a legacy to continue," Liddell says, pointing out that Fourth Memorial Church, where Great Northern will be located, has hosted a higher education campus for over 45 years. She adds that the community encouraged them to open a Christian college to serve former students. "As Christians, we had a sense that this was something that God was calling us to do," Liddell says. Liddell says they wanted to keep things they liked about Moody, like the aspect of volunteerism and the focus on Christian heritage. But they are making one important change: It will be a Christian liberal arts institution, not a bible college. Bible colleges focus more on students serving full time in a vocational capacity in a church or mission agency. Christian liberal arts colleges allow for more flexibility, she says. Great Northern, located at Fourth Memorial Church's building near Gonzaga, should have the capacity to serve "several hundred students," says Nathanael Schey, chief operating officer for GNU. The university, which offers seven undergraduate degree programs and seven certificate programs, will begin classes on Sept. 11. "This has been an incredibly accelerated process involving so many people," Liddell says.